You know the feeling all too well—you put your heels on at 9 a.m. for work, and by 10 a.m., you're wincing in pain. Sound familiar? Sure, you could just live the rest of your life in flats, but heels just have that way of instantly elevating (literally) anything you're wearing. Fortunately, there is a simple trick that'll make teetering in sticks a bit more bearable—and it won't cost a thing. Shoe expert and Shoe Are You? author Meghan Cleary suggests running your feet under cold water (even if it's a sink in the bathroom), putting a little hand lotion on your feet while they're a little damp, then putting your stilettos back on. "I personally have gotten another four hours out of a pair doing this mid-event," she said. Just make sure you put your feet back in your shoes damp, not completely wet. Go on and try this trick next time you're running in heels, and keep scrolling to shop the heels you can now actually wear all day long. 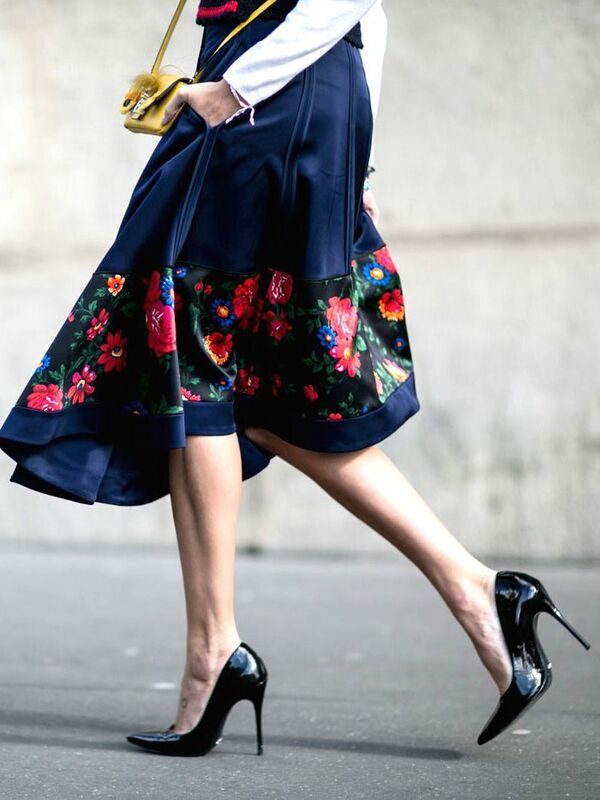 Will you test out this trick next time you slip into heels? Sound off in the comments below!